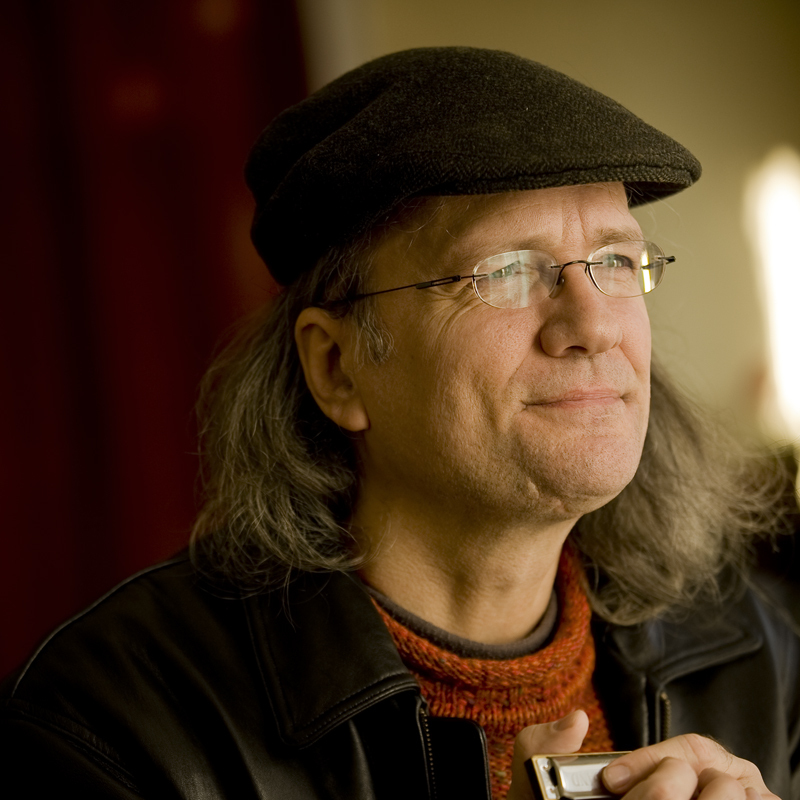 “We’ve had Grant’s music in rotation for many years on KPLU radio (NPR) in Seattle. I’ve always enjoyed his approach that incorporates blues, folk, gospel and jazz, sometimes all in the same song. 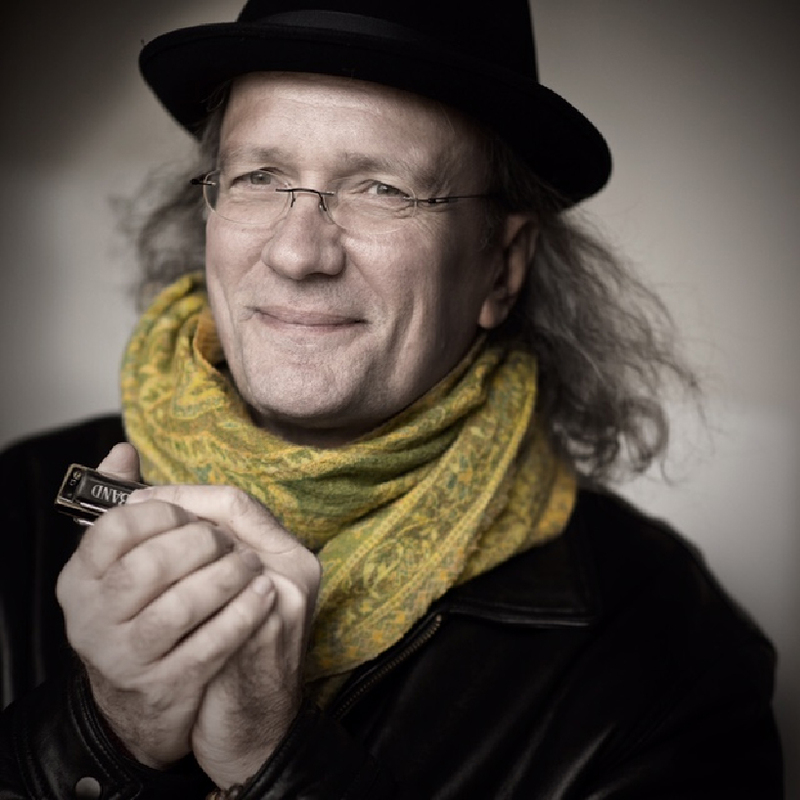 His harp playing is mature and inspired, deftly rhythmic at times, or gently melodic. — Mark Hoffman (Co-author of Moanin’ at Midnight: The Life and Times of Howlin Wolf). 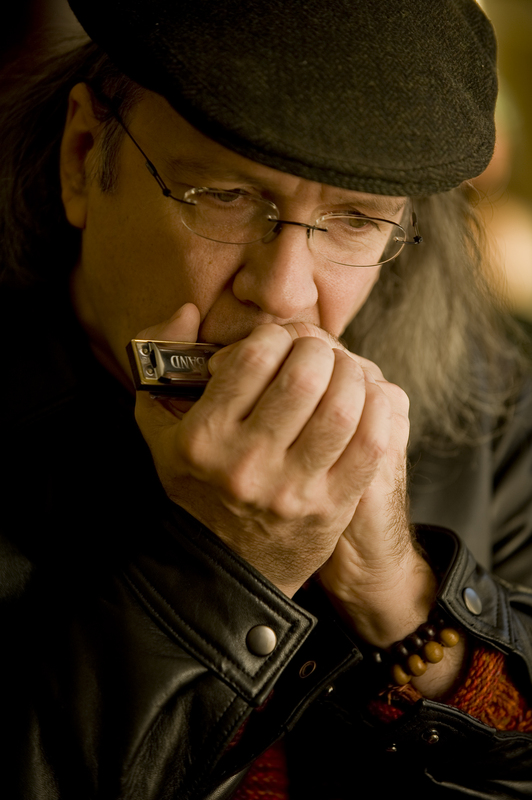 — Phil Wiggins, (harmonica, Washington D.C. with Cephas and Wiggins, Corey Harris, Robert Balfour). 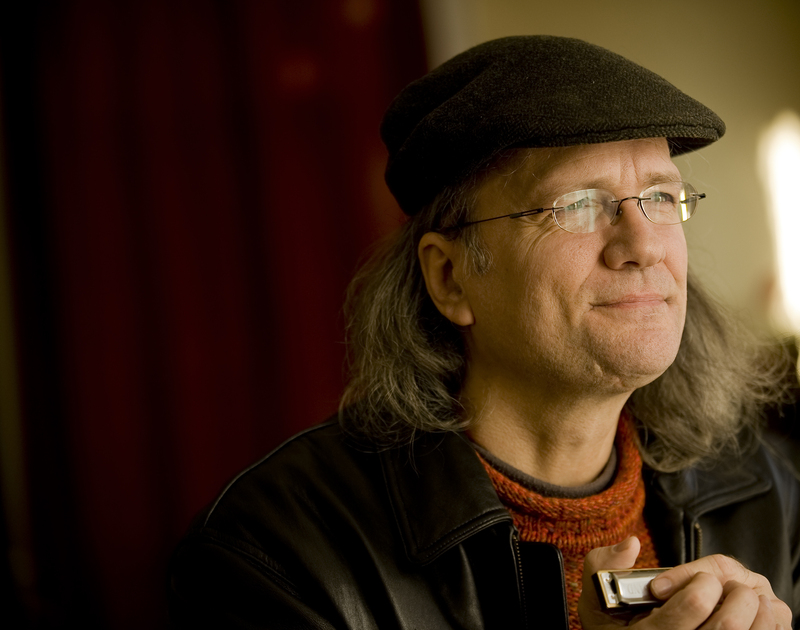 “Grant Dermody is one of the greatest living masters of traditional American music, and one of the most compelling harmonica players working in any style. To hear him is to hear the deep roots of American music. Don’t miss him. “Lot’s of soul and plenty of taste”. — Jelly Roll Johnson, harmonica, Nashville session musician. 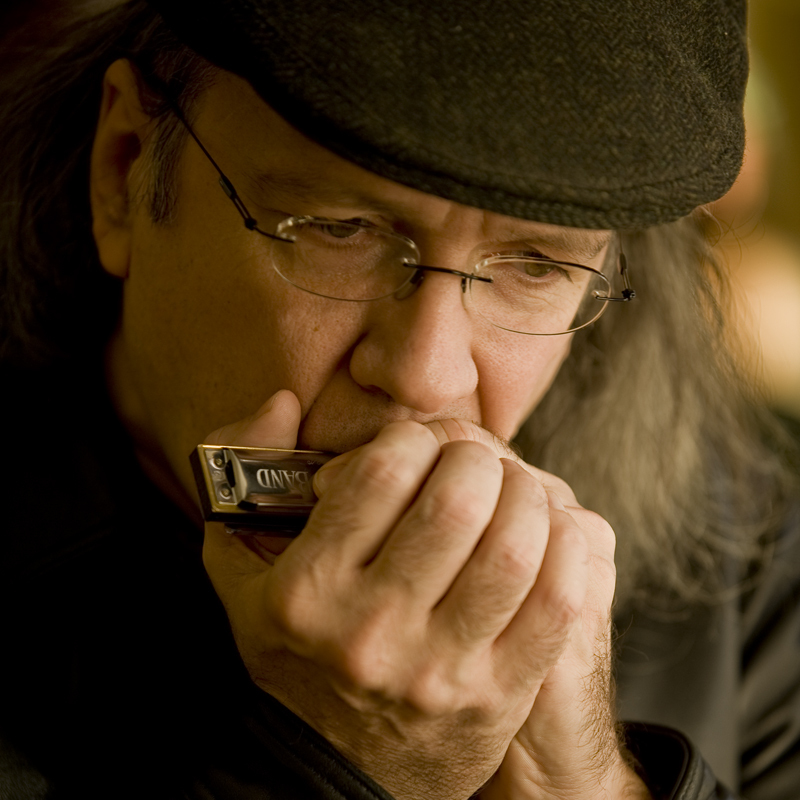 In the hands of harmonica master Grant Dermody the harp rumbles like a freight train, sidles up like a soul singer, purrs like an electric cat, rings out in a rhythmic dance. Pair it up with his voice, a strikingly honest vocal approach that resonates in the direct center of your chest, and the intrigue just increases. The swamps of Louisiana, the wide open skies of Montana — all that’s deep and sweet and awe-inspiring about Americana and its musical roots — reside there. There’s simply nothing like the growling grace that emanates from Grant Dermody.